Actress Marjorie Barretto’s eldest daughter, Dani Barretto, is about to get married to her non-showbiz boyfriend, Xavi Panlilio. 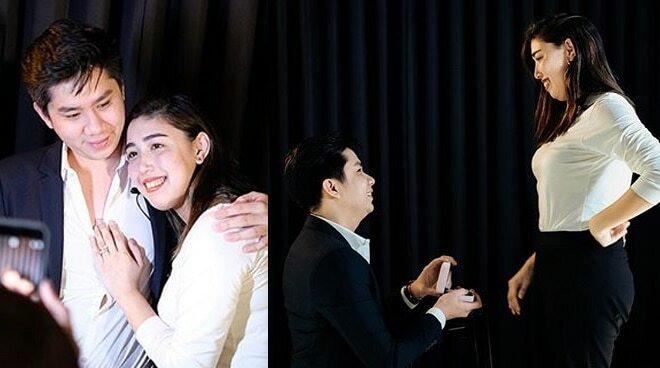 Dani Barretto, the eldest daughter of actress Marjorie Barretto, is now engaged to her non-showbiz boyfriend, Xavi Panlilio. The lifestyle/travel blogger announced the good news on Instagram on Sunday, February 17, mere hours after the surprise proposal took place. “I prayed for this. I prayed for you. I love you @xavipanlilio !! I can’t wait to marry you,” she said. As with any parent, the proposal was a bittersweet moment for Marjorie, who couldn’t help but get sentimental knowing that her firstborn is about to become a married woman soon. Meanwhile, her sisters Julia and Claudia were just as overwhelmed with happiness as Dani embarks on this next chapter of her life.